Natasha Pesaran is a Ph.D. candidate in modern Middle Eastern history at Columbia University. She studies the establishment and development of the oil industry in Iraq and the Levant after the First World War. She is particularly interested in the role of Western oil companies in the region, their changing relationships with governments and the socio-political and technical worlds created by oil infrastructure. Her dissertation, The Third River: the Iraq-Mediterranean oil pipelines and politics in the Middle East, 1930-1968, examines the social and political history of the first oil pipelines that were built to transport Iraq's oil to the Mediterranean coast. Her research has been supported by an International Dissertation Research Fellowship from the Social Science Research Council. Before beginning the doctoral program at Columbia, Natasha received a B.A. in History and an M.Phil in Historical Studies with Distinction from the University of Cambridge. Her M.Phil dissertation focused on violence and the end of the British Mandate of Palestine. 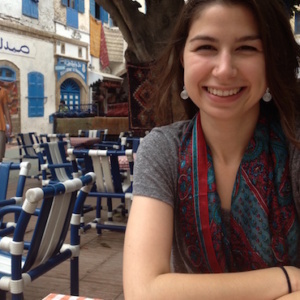 In 2017-18 she held a fellowship at the Center for Arabic Studies Abroad (CASA) at the American University in Cairo. Natasha has teaching experience in the history departments at Columbia and the University of Southern California. She was Managing Editor of the international peer-reviewed journal International Labor and Working-Class History (ILWCH).